Google Translate received a major update today, which was teased previously at Google I/O. 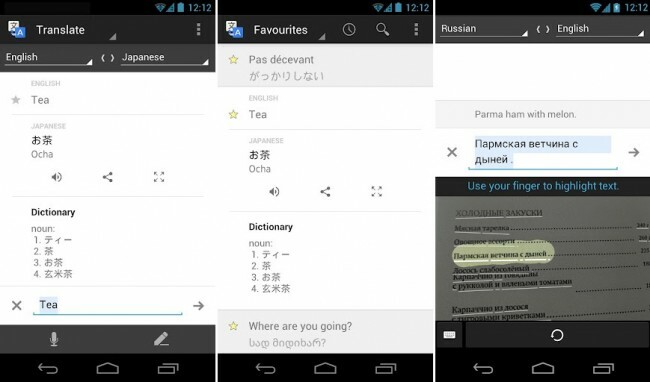 Starting today, users can take a snapshot of a foreign language and have the app translate the words straight from the picture. Once you take a photo, simply highlight the text area you want translated with your finger. Perfect for the next time you take out that certain someone to a fancy French restaurant. Along with that main feature, they have also added instant translation results, ability to choose dialect preferences, and Japanese handwriting will now recognize multiple characters at once. Quite an impressive update for the hard workers at Google.